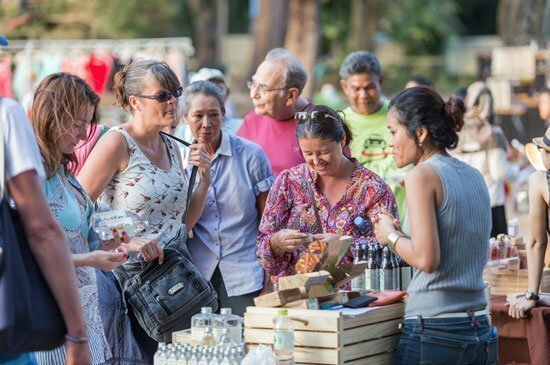 tourists and hotel guests enjoy an array of local goods at Talad Canal on the weekend. Started from Saturday 31 October 2015, Laguna Phuket introduces “Talad Canal” weekend market to open 5-9pm every Saturday and Sunday at Canal Shopping Village. Located in the heart of the Asia’s premier destination resort by the resort’s signature lagoon, Canal Village is a beautifully landscaped courtyard surrounded by more than 30 shops that offer the finest selection of quality goods and services available in Phuket – from handicrafts, clothing, jewellery, waterside restaurant, café and many more. “Talad Canal” will take place on the courtyard area in Canal Shopping Village, offering a variety of goods from food stalls, clothing, arts & crafts, music and performances as well as dining area to tourists, hotel guests and visitors. 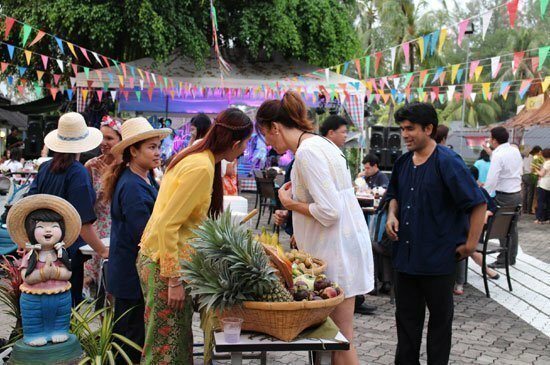 “Talad Canal” weekend market is a part of Laguna Phuket’s “Every Day at Canal” Campaign to kick off the high season. The Campaign also includes “Kid and Family Funs at Canal Village” on the weekdays. Operated by Laguna Tours & Quest, Kid and Family Funs programme offers daily fun activities such as Laguna Adventure, Fit ‘n’ Fun, Little Master Chef, etc. to be enjoyed by adults and children alike. Entry to “Talad Canal” is free.